January is now behind us and February is here. Were one-twelveth of the way through 2018. In some ways this past month has flown by and in others it has crept. We have managed to keep the flu out of the Zimpleman household and I hope that you have been able to do the same. 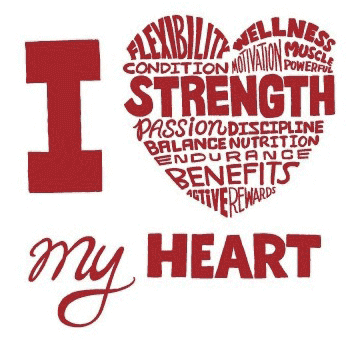 February is National Heart Health Month, among other designations. I'm pointing it out because heart disease is the leading cause of death for both men and women in the United States, claiming nearly 1 million lives a year. But, it's also very preventable. In South Carolina, and the Sumter area especially, we pay little attention to making heart-healthy choices. I know that I often make poor choices in diet and exercise, so I am trying to do better this year and I want you to do the same. The first thing that we all need to do is to get educated about heart disease and how to look for signs of heart distress. Here are links to the National Heart Association and to The Heart Foundation that are packed full of great information. The next thing, and the most important, is to make a commitment to yourself and your family to make some small changes over time to live a healthier lifestyle. It's easier to make small, gradual changes, rather than one or two big ones that are unattainable. Then, finally, share this with the people that you love. It's not only important to get educated and make a decision to live better, we need help those around us, too. While this is a serious issue - check out this humorous video about the signs of a heart attack for women. Often, their symptoms are quite different then men. Women often mistake their symptoms as that of stress. We've been having fruit and green smoothies for breakfast, rather than cereal (or nothing), and I'm going to try to get up a little earlier three days a week and go for a walk around downtown. I did that some in the fall and those were some of my most productive days. Let me know what you're doing to be more heart-healthy. We've now closed the books on January and it was a good month for the US stock markets. The Dow Jones Industrial Average (DJIA) and the S&P 500 both had their best month since March of 2016, up 5.6% and 5.8%, respectively. This was the best January for the S&P 500 since 1997. There was a two day dip on Monday and Tuesday and we've seen an increase in volatility compared to the last several months. This week's action has been reported to be driven by the increase in interest rates, like I mentioned last week, and the fear of the implications for the future. It continues to be something to watch, but I don't feel that this week's actions has been anything beyond usual market volatility. The Federal Open Market Committee met this week and decided to leave interest rates alone but did say that they will be watching rising costs, or inflation. If wages go up, as many think we should be seeing soon, it could lead to other costs rising. Maintaining price stability is one of the mandates for the Federal Reserve, so their reactions and comments are another thing I watch closely. Also worth watching is how the Federal Reserve will be impacted by new leadership. This meeting was the last for Chairwoman Janet Yellen and on Monday a new Chair will be sworn in, Jerome Powell. He is a current board member and I, personally, don't expect a dramatic change. Chairwoman Yellen was very open and implemented policies like having a press conference after many meetings, which I don't ever remember seeing before. It will be interesting to see if Chairman Powell will continue to communicate as much with the investing media. If you have any questions about how rising interest rates or increased volatility in the stock market may impact you, please don't hesitate to give me a call or reply to this e-mail.